Dr. Husu received his undergraduate degree from the University of California, Irvine. He went on to obtain his medical degree from the University of Arizona School of Medicine, where his interest in pain medicine first began. He cultivated a biopsychosocial-spiritual and holistic approach to patient care during medical school. 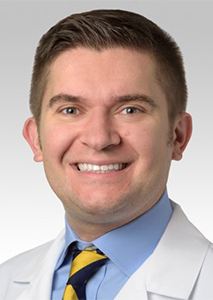 His desire to build on these skills lead him to pursue his residency in physical medicine and rehabilitation at Sidney Kimmel Medical College at Thomas Jefferson University in Philadelphia, Pennsylvania. After residency, Dr. Husu completed his fellowship in interventional pain medicine in the anesthesiology department and rehabilitation medicine department at the University of Minnesota in Minneapolis. Interventional pain medicine allowed Dr. Husu to cultivate his holistic approach to patient care even more, and also apply his in-depth knowledge of anatomy for the precise delivery of therapy for pain. Dr. Husu strives to meet the needs of his patients every day by providing comprehensive patient care through interventional pain procedures, medication management and optimization, as well as additional therapies. Dr. Husu accepts patients with acute and chronic pain from a variety of conditions and strives to provide quality care to improve daily function and quality of life for his patients. Dr. Husu is hoping to start seeing patients as soon as mid-December 2018. Effective pain management can help you lead a happier, healthier life. To schedule your appointment with Dr. Emanuel Husu, call Chicagoland Pain Management in Bolingbrook, IL at (630) 312-4505 or in Hinsdale, IL at (630) 856-6825. You can also use our convenient online form to request an appointment.